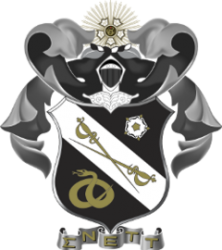 Headquartered in Lexington, Virginia, Sigma Nu Fraternity was founded in 1869 at Virginia Military Institute in Lexington. Sigma Nu currently has 166 active chapters and colonies on college campuses throughout the United States, and has initiated over 235,000 members since its founding. Sigma Nu has over 10,900 collegiate members, 19 rock chapters, and has raised over 1.5 million dollars for charities. Undergraduate Sigma Nu's have logged over 350,000 community service hours. Founded originally in 1917, Delta Tau recently reopened its chapter this year(2015). Regularly finish in the top 3 of all-Fraternal GPA. Sigma Nu's annual philanthropy, So You Think You Can Sync, is a lip sync and dance competition that occurs in Milam Hall. We host daily study tables for brothers looking for academic assistance.